We are now in the full swing of autumn. Leaves are turning colors and the rain is back. 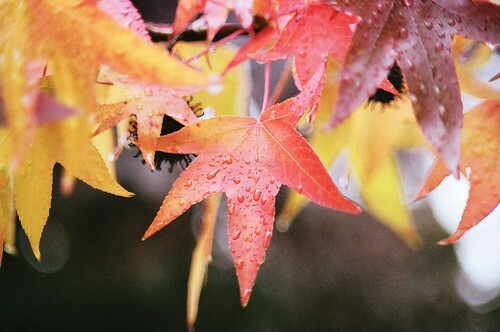 The beauty of the changing of seasons also reminds us of a fact of life; we live in a wet place. While the rain provides us with lush greenery year round, it also takes its toll on exterior building products, particularly those made from wood. Historically, porch railings, balusters and columns could be made from either wood or stone while porch posts were generally made from wood. Wood products in particular are susceptible to the weather and must be diligently maintained in order to extend their life as long as possible. 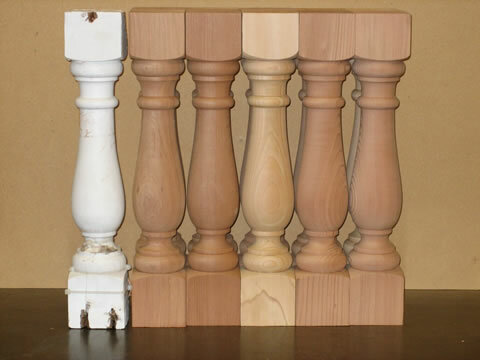 If a porch product or column needs to be replaced they can be replaced with wood, stone or synthetic materials. 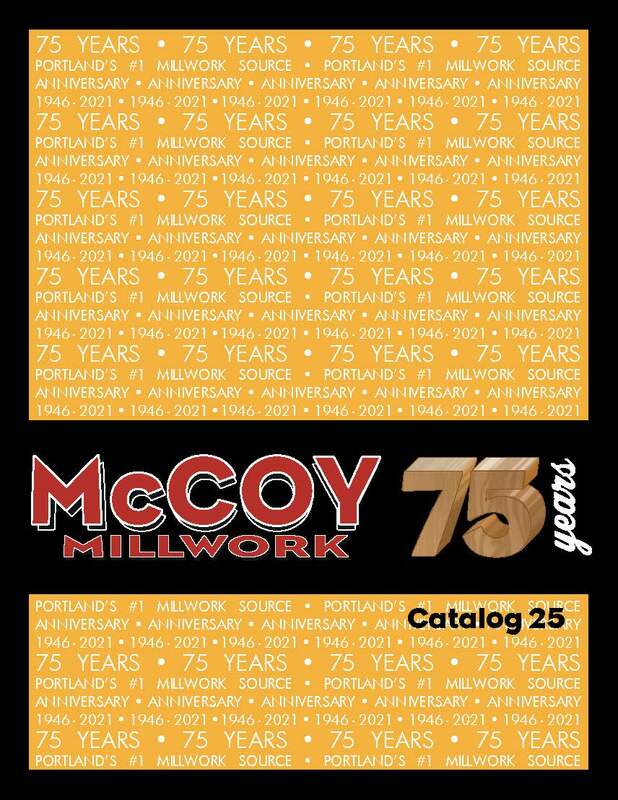 Although we do not deal with stone, McCoy Millwork can provide a variety of products in wood or synthetics. 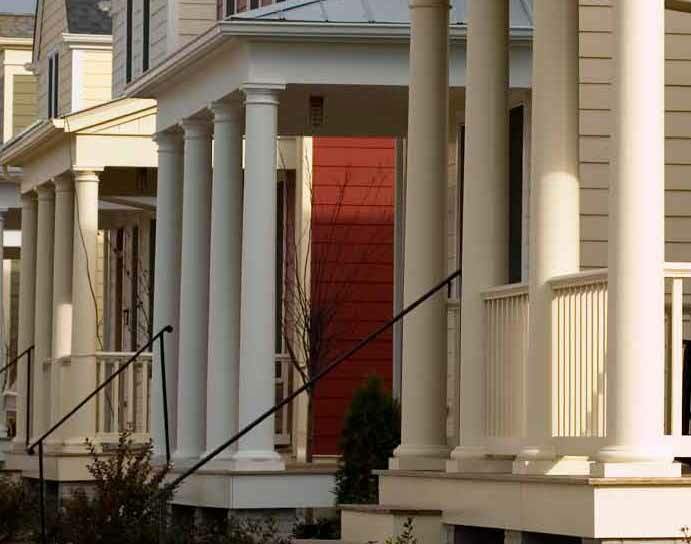 We are again stocking HB&G columns and porch posts, making us the only retailer in the Portland metro area to sell them. In addition, we have the ability to special order wood columns and custom turned wooden porch posts as well. Wooden columns are generally a solid laminate, meaning they are solid pieces of wood which are joined together. These pieces are joined together with premium exterior adhesives and can be either stained or painted. Although the wooden columns and porch posts that we sell are of the highest quality, they once again need to be maintained constantly. The advantage of synthetics is that they are virtually maintenance free, and of course will not rot or be susceptible to insects. Our synthetic columns are not plastic; they are composite most closely resembling cement. They paint very well and are extremely common in the southeastern United States. We stock both round and square columns, with other styles available by special order. Porch railings and balusters pose a similar situation. We stock a vintage Portland porch railing and a diverse selection of balusters. In addition, we can special order a variety of architectural railings and balusters in both wood and composites. Our stock items can be viewed in our online catalogue. We have attached several links for you as well to showcase some of the special order items available. This entry was posted in Product information and tagged columns, custom columns, hb&g, porch post, wood porch posts.